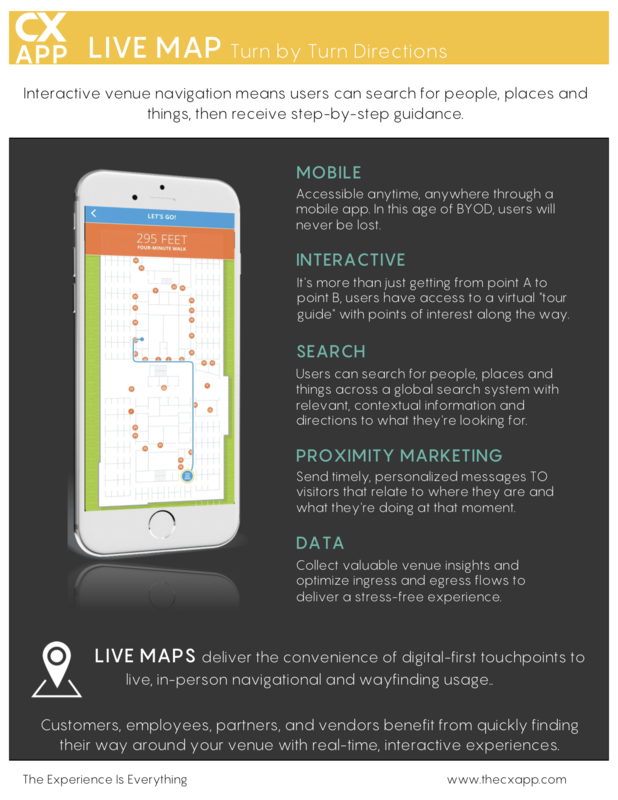 What: A live map is similar to GPS, only it works indoors as well as outdoors. When it comes to Large Public Venues (LPVs) such as a corporate campus, hospital or university, live maps guide users across multiple floors and buildings. 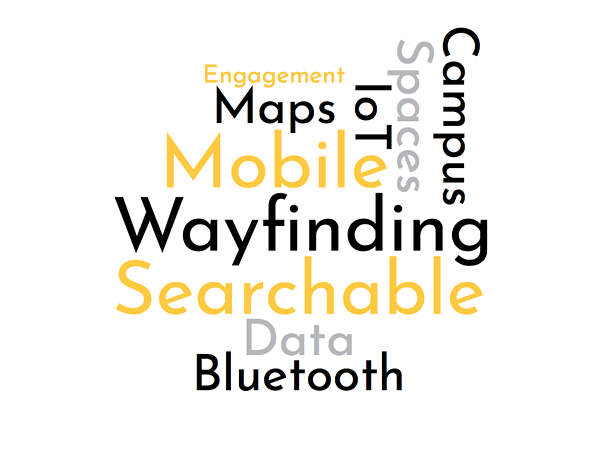 Why: A corporate campus is notoriously difficult to navigate. If you work in one, you surely understand. Live maps use Bluetooth beacons and WiFi to solve this problem. 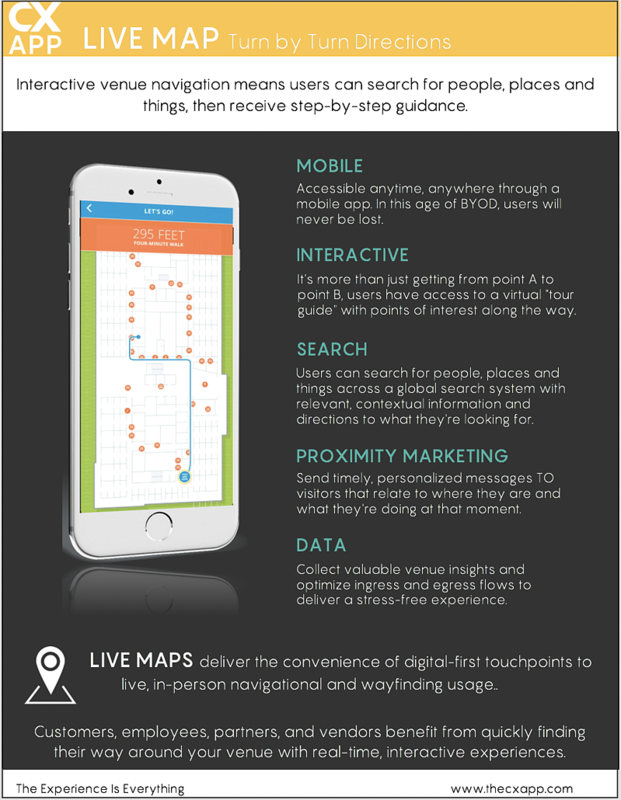 Interactive, searchable, always-on maps transform the user experience in physical spaces. Your brand can use this technology to create "smart spaces" that are easy to manage on top of being designed to impress employees and customers alike. It's the logical next step in digital transformation. The global indoor location market size is expected to grow to USD 40.99 Billion by 2022. David Visitus, Director of IT at FlexOps, has a meeting with Jon B. Selling, Sales Director at Silcom Tech. It's David’s first time at Silcom Tech and he knows finding his way around the sprawling property will likely take forever. Right after parking, David gets a text that reads: "Welcome to Silcom Tech, David Visitus! The experience is everything here, so download our app by clicking this link ..." He signs into the app and receives another message: "Hi, David, your meeting with Jon B. Selling is scheduled in Room Endor on the second floor of the main building. Your meeting starts in 38 minutes." A navigation icon opens up a map of the property. David is impressed. The app gives him step by step directions, just like a GPS would. Once inside the building, David sees a notification appear on his map. He can check in automatically. Once he does so, he receives an in-app text from John: “I’m glad to see you’ve arrived! I’ll meet you in the lobby in 10 minutes”. What to do in the meantime? As David takes a few more steps into the lobby, a message appears on the map: he’s only a few feet away from a juice bar! The menu pops up automatically as he approaches. Only a few sips into his Strawberry Coconut Jubilee, John is by his side. John logs into his own app and gets directions to the conference room. “I would get lost without this system … our campus is a maze!” They head off to Endor; Silcom Tech has already made quite the impression on David. Ready for the Ultimate Experiential Technology?